You can contribute by volunteering to help in the office or warehouse in Maine, or by applying to become a traveling volunteer to Haiti. There are different ways you can donate. Konbit Sante relies on donations, both cash and non-cash, and actions, both big and small, to help sustain and build on what we do. Creating a personal campaign page is fun and easy! Fill out our form and you will be provided a link that you can share with your audience. This event is a wonderful way to build community and have fun for a cause. Join us for a 5K run/walk around Portland’s Back Cove on Saturday, June 8! This family-friendly event raises money to support our efforts. 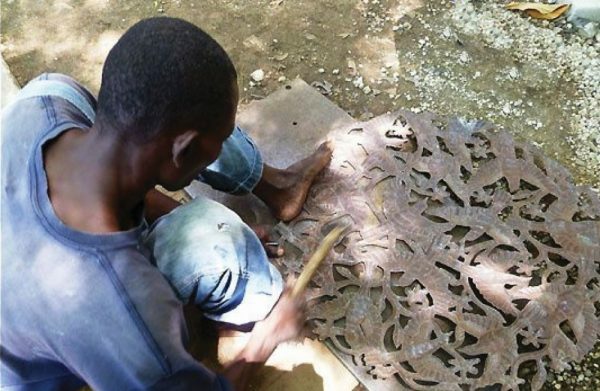 Konbit Sante sells metal art created from recycled oil drums by artists in Haiti. We welcome the opportunity to display the art in Greater Portland-area cafés, coffee shops, and other establishments that showcase original works of art. For more information about purchasing or displaying Haitian metal art, call (207) 347-6733 or email info@konbitsante.org. Konbit Sante would like to acknowledge and thank our long-term sponsors who help make our work possible. Your ongoing support is invaluable to the efforts of Konbit Sante. Thank you for your contribution to Konbit Sante. 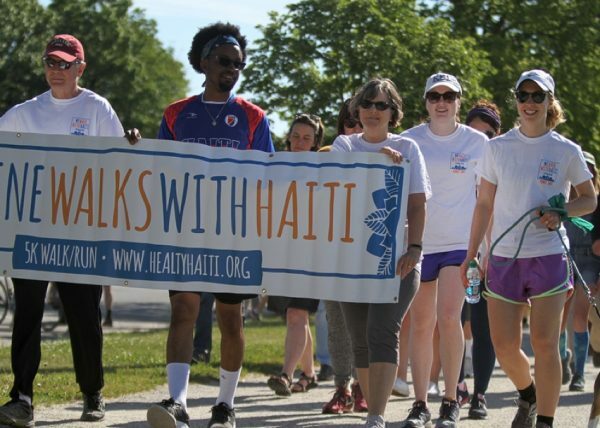 Your support has a direct impact on the progress of a better health system in Haiti. Become an official sponsor of Konbit Sante! Email us about becoming a sponsor by clicking below.